With its supercharger protruding through the front hood, the Ford Falcon XB GT (the car which the black Pursuit Special is based on) gained cult status especially among fans of the movie. 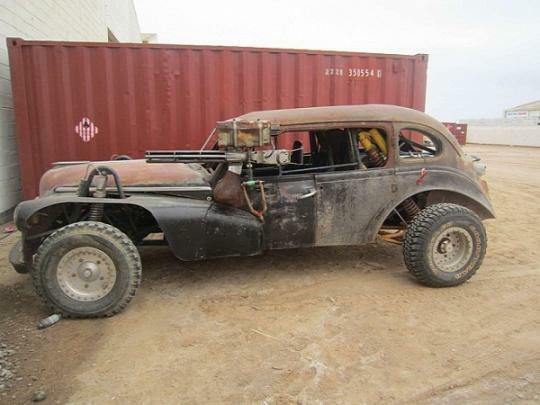 The upcoming fourth instalment of the Mad Max series, titled Mad Max: Fury Road, will feature similar post-apocalyptic-looking vehicles just like in the previous three movies. 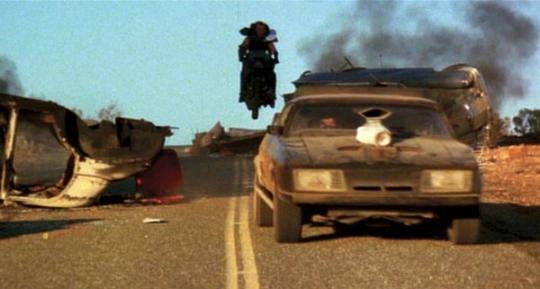 With shades of black, grey and rusty-looking, the vehicles in the movie stays true to what Mad Max fans are familiar with. This time round, actor Tom Hardy (who played the character Bane in Batman: The Dark Knight Rises) will take the role of �Mad� Max Rockatansky. 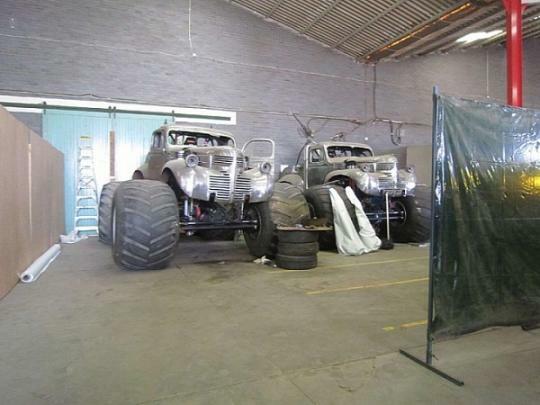 Several set photos of the vehicles in the movie has leaked onto the internet and from the photos, we could see a pair of monster truck, a pair of 1930s inspired hot rod, a truck with lots of spikes on it and a tow track. 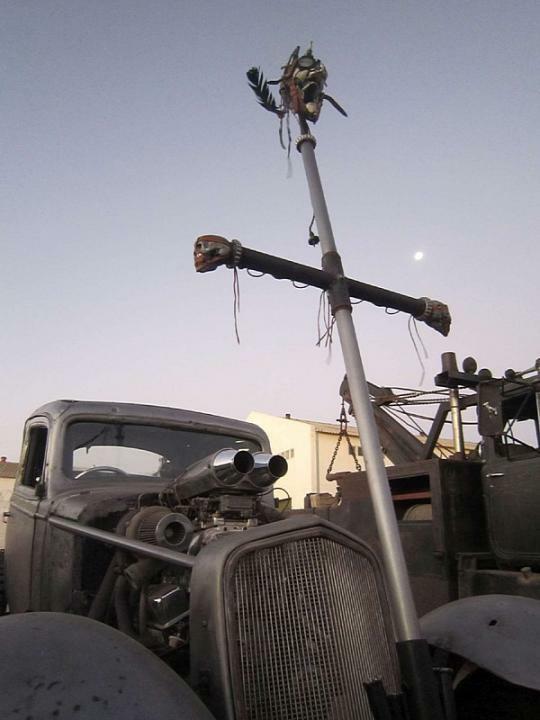 Machine guns are a principal component of the Mad Max series and in one of the photos (on the hot rod), we could see one situated on the left side of the car. It is safe to say that there will be lots of gun fights and car chases. The fourth Mad Max movie is slated for a release in 2013.